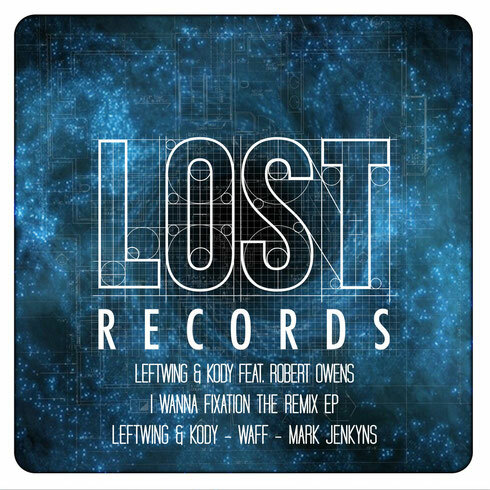 Last year’s collaboration between UK duo Leftwing & Kody and Chicago’s Robert Owens gets revisited with two remixes from wAFF and Mark Jenkyns. Formed in 2012, Leftwing & Kody established themselves as possibly one of the most distinguished acts to rise from the London scene, making regular Beatport Top 10 appearances plus a nomanation in DJ Mag’s 2013 Best of British Awards for ‘Best Breakthrough DJ’. Having worked with some of house music’s pioneers like Romanthony, Todd Terry and Roger Sanchez, this package sees a return to their collaboration with Robert Owens, known for his work with Fingers Inc. in the mid-1980s, with remixes from two of today’s names. Mark Jenkyns’ remix of ‘Fixation’ employs firm kicks, claps and toms whilst spacy synths and the chopped vox together deliver an animated dancefloor focused cut. wAFF’s ‘I Wanna Be’ is then a rhythmic number that pairs a medley of wooden percussion and cowbells with a low-end for a compelling groove. Meanwhile the ‘I Wanna Fixation’ original lays down a thunderous rolling bassline as Owens’ voice resounds poignantly throughout. It’s out now on Lost Records.